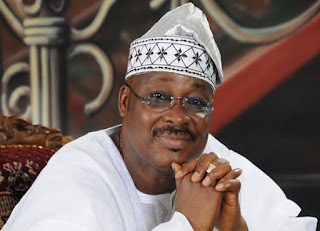 A former Director of Budget and Special Adviser on Budget Affairs to ex - President Shehu Shagari, Theophilus Akinyele , has faulted the Oyo State Government over the installation of 21 new kings in Ibadan land . In a statement he personally signed on Sunday , Akinyele said he had earlier written a book on reform and regeneration of the Ibadan chieftaincy system and that he submitted a memorandum to the commission that was set up by Governor Abiola Ajimobi to review the chieftaincy system . He said , “ As the Bobajiro of Ibadan land since 1978 and the person who voluntarily in 2011 published a book titled, ‘ Ibadan traditional system : reform and regeneration , ’ and who took the trouble to submit a memorandum to the Justice Boade Commission of Enquiry , I owe it a duty to categorically state my position on the issues involved in the current developments enveloping the Olubadan chieftaincy system for the sake of consistency , truth and personal integrity . “ My book examined the 80 years of Ibadan military exploits and imperial adventurism , which earned Ibadan the incontrovertible position as the bulwark for the existence of Yoruba land . It highlighted the inherent systemic structural weaknesses and adverse effects of governmental and other external interventions which became pronounced in the last two decades . According to the octogenarian , he has never supported what he described as proliferation of Obas or the wearing of beaded crowns . Akinyele said , “ I also want to believe that the issue concerning wearing of beaded crowns has become the Sword of Damocles dangling over the Ibadan traditional system now that some unwary baales in Ibadan land have been surreptitiously lured into turning themselves into pawns in the hands of politicians with the juicy carrot of wearing beaded crowns even if the beads are nothing more than Chinese -made artificial beads . The hood does not make a monk. In defending the review and enthronement of new kings , Ajimobi stated that he would be appreciated in the future by those who condemned his action . He said the review had not tampered with the basic traditional chieftaincy system in Ibadan and that the concern of his government was the respect for the Oubadan and the high chiefs who were elevated to the status of kingship . The governor said , “ I am sure people will still thank me in the future because I am doing good for Ibadan and the state . I am not interested in becoming the Olubadan and I will not be . It is only the person destined by God that becomes an Olubadan . It is God who ordains an Olubadan . “ We also want to plead with our people to always listen carefully and eschew ignorance on the matter . We are aware that some people will not understand the matter quickly but we will continue to enlighten and educate our people on the subject matter . Also , some members of the Oyo State House of Assembly , who are Ibadan indigenes , on Sunday , paid a visit to the Olubadan of Ibadan land, Oba Saliu Adetunji . While speaking on the controversy that has engulfed the review of the Ibadan chieftaincy system and crowning of 21 kings by the state government , the lawmakers said that they had yet to receive any document concerning the review from the government for amendment . The house members are the member representing Ibadan South- East constituency 1 , Fatai Adesina ; the member representing Ibadan South -East constituency 2 who is also a member of the House Committee on Local Government and Chieftaincy Matter , Akeem Ige ; the member representing Egbeda state constituency, Buniyamin Olasunkanmi ; and the member representing Ona - Ara state constituency, Samson Olasunkanmi . They are members of the Accord Party . Speaking on behalf of his colleagues in the team, Adesina said that it was wrong for the state government to use fiat to crown new kings without approaching the house for the amendment of the old document regarding the Ibadan chieftaincy system . When our correspondent contacted the state Commissioner for Information , Culture and Tourism , Mr . Toye Arulogun , for comments on the claim , he said there was no law stating that when a declaration was reviewed, it should be sent to the house for amendment . He said Ajimobi derived the power to review the declaration from sections 10 and 25 CAP 28 of the Oyo State Chieftaincy Law 2000 , adding however that as a law abiding governor, Ajimobi would approach the house if there was the need to do so . They were also of the opinion that the old system had been perfect so far . Adesina said , “We have yet to receive any amendment concerning the review done by a commission from the state government . It is new to us but if such law is passed for amendment , we will express our feelings and see to it that Ibadan traditional system and council are not disturbed in any way . Asked if a few members from a political party could stop such amendment if put to voting on the floor of the house where the ruling party had the majority, Adesina said it was unfortunate that members of the public viewed lawmakers as the governor’ s rubber stamp . “ Don ’ t forget that members of the house are reasonable people . We know that whatever we do today , posterity will judge us . People that stood on the wrong side during the late MKO Abiola struggle are nowhere to be found today . “ We will not like to die politically because of this issue. It is always funny when people say that the governor controls the house . Sections four, five and six of the Nigerian constitution detail the functions of every arm . Governors are not semi -lords. The people we represent have the power to remove us if we don ’ t do the right thing . “ We have been informed that if this governor’ s action stands , Oyo and Ogbomoso will be the next destinations . The government should be contented with some other fundamental issues and not the traditional issues. As the Oba in a community under Ibadan or some council areas , how will you greet the Olubadan ? “ Can a king remove his crown to greet another king ? Can someone be crowned twice in a town ? These are issues that remain confusing . If you tell a lie today , you have to tell about 20 more to cover it up in the future . That is what is happening now . “ We have stood our ground on several issues in the past because we are not a rubber stamp Assembly . Indigenes of Ibadan will not want their city to be destroyed , ” he noted .